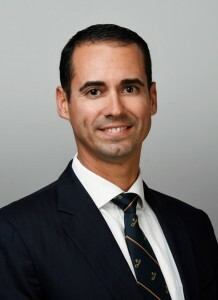 John Portelli has been promoted to the position of Senior Vice-President of Investments at LOM Financial [Bermuda] Ltd.
Mr. Portelli joined LOM in 2010 and has over 20 years of investment experience. Prior to joining LOM, he worked for the investment arm of Scotiabank in Toronto for close to 9 years. Mr. Portelli holds a Professional Financial Planning designation and has completed a number of certifications including the Canadian Securities Course [CSC]. He specialises in developing customised investment solutions for each of his clients whether an individual, a trust, a family office or captive. Commenting on his promotion, Mr. Portelli said, “I am very grateful for the opportunity to have worked with LOM Financial over the past 7 years as we have refocused our commitment to being a reliable source of investment help as a world class boutique investment firm. “I consider myself very fortunate to work with some incredible clients, friends, colleagues and business supporters. Given all that is going on these days globally, it is increasing imperative that one keeps their investments simple, understandable and personally relevant. I know how people feel when I hear them say things like “I’m not sure what I should do, buy or sell or just sit in cash”.